A growing number of people choose not to celebrate Valentine's Day because it has become too commercial. 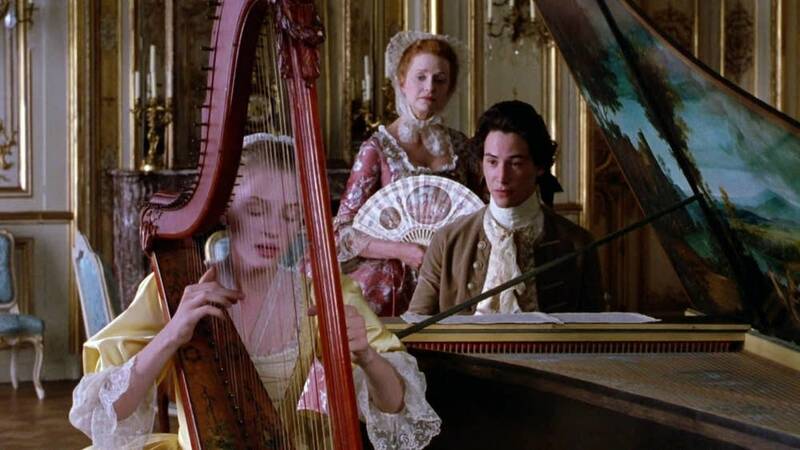 While I can't fault this holiday all that much because I adore flowers and am addicted to candy, I do appreciate less commercial ways to celebrate love and romance — so I talked to some friends and colleagues about the most romantic classical music for their instruments. Cellist Mark Solie of Duluth focused on chamber music, first mentioning the Brahms Piano Quintet in F minor. "Romance has so many different meanings," he said. "The piece isn't about love, but it sure is about emotions." Mark also singled out the Ravel string quartet and the Brahms second piano concerto, "with those beautiful horn and cello lines. I guess I'm stuck on Brahms!" While many would call the cello the most romantic instrument, Michael Larson of St. Paul argued that the trombone deserves this designation "because trombone players are the most romantic musicians." He continued, "One of my all-time favorites is the 'Romance' in D by Carl Maria von Weber. It's so perfect for the trombone it seems impossible to consider any other instrument playing it. Many a romance has been sparked with these melodies. "But I have to say my current favorite is 'Colors for Trombone' by Bert Appermont. Yes, I picked a living composer — deal with it! This piece is not only romantic, but it's exciting, playful, and takes you on a journey." Scotty Horey, a Minneapolis-based percussionist, said, "David Maslanka's 'My Lady White,' about the timeless emotion of love, is my favorite 'truly romantic' work for marimba solo. I frequently program this piece on my solo concerts to provide a space of tenderness and intimacy." Pianist Jay Hershberger of Hitterdal, Minn., eagerly replied, "Rachmaninoff Symphony No. 2 without a doubt!" before I clarified that I meant a work for his major instrument. "Well, Rachmaninoff's Concerto No. 2 would do just fine," he replied. "My personal anecdote about this is that my wife Cindy heard me practicing Rachmaninoff's second concerto at a dinner party off in another room when I was in college. We had never met before, and she came into the room and listened. When I finished she said, 'You play beautifully!' I said thank you. The funny thing is, I do not remember the exchange. "We met again in sophomore theory a year later when she transferred to the University of Tulsa, where I was working on my undergrad. I introduced myself to her and she said, 'I know who you are. We met last year. You were playing the piano...' She left me speechless. Anyway, that work has always been close to our hearts as husband and wife, along with the Rachmaninoff second symphony." People seem to agree that my own instrument, the horn, is quite a romantic one because of its beautiful tone. It's hard to pick the most romantic work for horn, but "Reverie" for horn and piano, Op.24, by Alexander Glazunov is definitely near the top of the list. Its gently tumbling phrases are so lovely, and even the pedal A-flat sounds romantic somehow, which is unusual that low in the horn's register. Give it a listen on February 14th as you enjoy a heart-shaped box of chocolates — or, instead of one. What's your favorite classical music for romance? Let us know! We'll play some of our listeners' selections on Feb. 13. Gwendolyn Hoberg is a classical musician and the owner of the editing and writing business Content & Contour. A Moorhead resident, Gwen is on the faculty of the NDSU Challey School of Music and plays with the Duluth Superior Symphony Orchestra. She is also a co-author of The Walk Across North Dakota.